It seems like you can’t get on social media today without having to sift past thousands of clickbait articles to find what you’re looking for. With the amount of content available online increasing every minute, companies are always trying the latest trend to get content in front of their target audience. But clickbait is a trend we don’t recommend. What is clickbait? The official Merriam-Webster definition is “online material (such as headlines) designed to make readers want to click on hyperlinks, especially when the links lead to content of dubious value or interest.” Even Merriam-Webster can smell a trap. 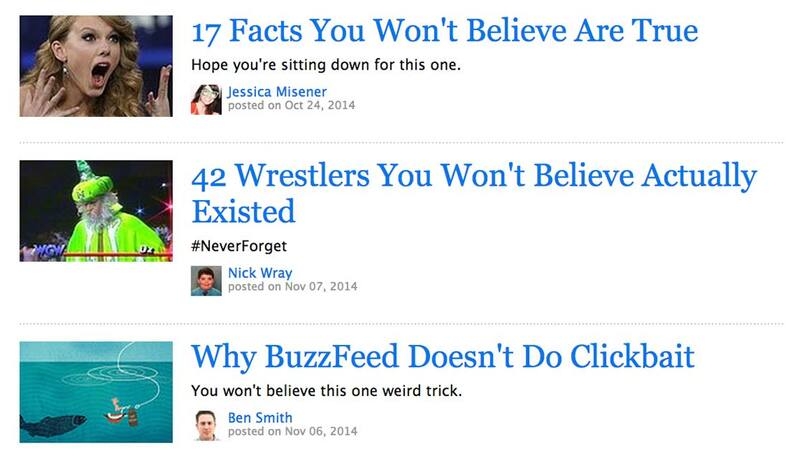 Need more than that to explain why clickbait is bad for your brand? There is nothing wrong with writing an attention-grabbing headline, but it becomes clickbait when the headline deviates or misinterprets what the article is about. Clickbait often fails to deliver what is advertised in the headline, leading to distrust in your brand. In early 2016, Facebook announced it is now leaning heavily on a second signal — what you want to see. That could reduce the visibility of stories with sensational headlines, or that overtly beckon you to engage. This means that using forms of clickbait will actually reduce chances of your target audience being exposed to your content. Capturing attention is important, but keeping your audience engaged is the ultimate goal. Bill Gates wasn’t lying when he said content is king. You can keep audiences engaged by providing quality, powerful content that your audience finds valuable. Despite the ever-changing trends and audience preferences, one thing will always remain constant: People are loyal to brands they can trust will deliver what is promised. Do you clickbait? Tweet us @DEVENEYMKTG and let us know.